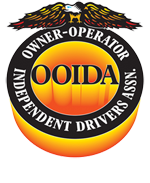 The hood of your semi truck is susceptible to scratches, rust, dents and other problems. 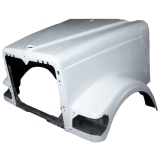 Hood damage can be a major issue for your semi truck, since this important piece protects your truck’s performance parts. Replacing an aging or damaged hood can prevent deeper problems underneath — in addition to improving the value of your truck and distinguishing it on the road with a hood that is in pristine condition. 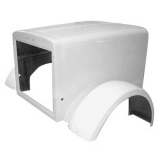 At Raney’s, we can help you find the right hood to replace the damaged one on your model. 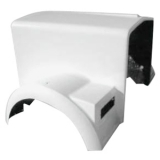 Within our extensive inventory, you’ll find the right hood for your make and model to replace an old or damaged one. 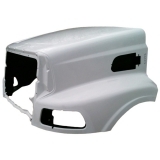 Our Freightliner hoods collection includes shiny new hoods for the Cascadia, Classic, Century and other models. 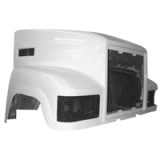 We have Mack truck hoods for the CH 613, CHN 613, RD model and 1982-1989 R model trucks. 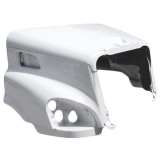 Or, choose from our Peterbilt hoods: one option for the Peterbilt 357 and 378, or our selection for the Peterbilt 379. 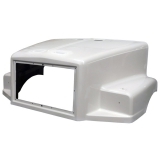 We also have a wide range of International truck hoods — whether you have a 1600 S Series, a 2300 S Series, a 4200, a 4700 or countless other models, we have the replacement hood you need. Don't feel left out if you drive a different kind of truck. We also carry collections for Kenworth, Sterling, Volvo and Western Star — so we’re sure to have a hood in stock for your truck. Not only do you benefit from an extensive selection of quality parts through Raney’s, but you also work with industry professionals who know the parts we carry. If you have questions or need help choosing the right hood or other part, our experts are eager to assist you. 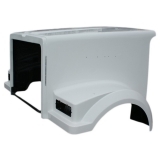 Feel free to choose the hood to match your truck make and model, and order it through our website. Or, if you'd prefer to order from a staff member or need assistance, call today.